East Kilbride lifted the East of Scotland FA Under 20 Knockout Cup with a 6-2 victory over Edinburgh University at Marine Drive Playing Fields. With just one point separating the teams in the league table, it was all set to be a close game but Kilby came away with a convincing victory. The two teams had met in the Challenge Cup semi-final the previous month, with Edinburgh Uni triumphing on that occasion. After eight minutes, the ball was being exchanged in tight spaces out on Edinburgh Uni’s right midfield and a pass inside from East Kilbride was met first time with an instep to put a curling ball down the left channel. Lewis McDonald made the run and latched onto the ball, drifting in on goal at pace and coming inside with a smart bit of footwork to make the angle and curving the ball outwards and towards the top corner and out of the reach of the keeper. It was one nil to East Kilbride. Shortly after, McDonald muscled the ball free for another opportunity, cleverly disguising the shot and beating the keeper only to see it drift wide of the upright. Despite the desperate and dazzling opening it appeared as though East Kilbride had confidence in their passing and ability to get the ball into dangerous areas and certainly the potency lay squarely at the feet of McDonald. Soon he was combining with Vinnie Newlands neatly laying it inside in the area with a back heel but the defence closed in around his team mate and the chance was gone. After 25 minutes Ross McKechnie went on a mazey run inside but slipped. McDonald was on hand to rescued it though and laid it back to Harry Mitchell whose shot went over the bar. Only two minutes later persistence paid off and McDonald had scored again with a fine finish close in on goal. Two nil to Kilbride and his teammates were over to congratulate him for making a big dent in the games likely outcome. Now the Uni came forward swiftly. A cross came in and the striker headed it into the top corner to pull a goal back. After 35 minutes, Kilby came forward with McDonald involved once again. They very nearly scored but it was Edinburgh University who were finding their feet and making deep incisive attacks down both wings. At the break the teams go in with East Kilbride worth the slender lead and it all to play for in the second half. A few minutes into the second half, Jordan Craig whipped in a great cross which was met by the striker, but the header looped narrowly over the crossbar. Shortly after though Craig sent in a quality corner and a powerful Craig Howie header from close range put East Kilbride two goals up. Then, Craig received the ball and lined up a left-footed shot which fired past the Uni goalkeeper. On the hour mark, the Uni nearly scored after a fine run but Kilby keeper Martin McCabe was equal to the shot. The game slowed down but Edinburgh were still probing. A cross caused problems in the Kilby defence but went just wide of the target. 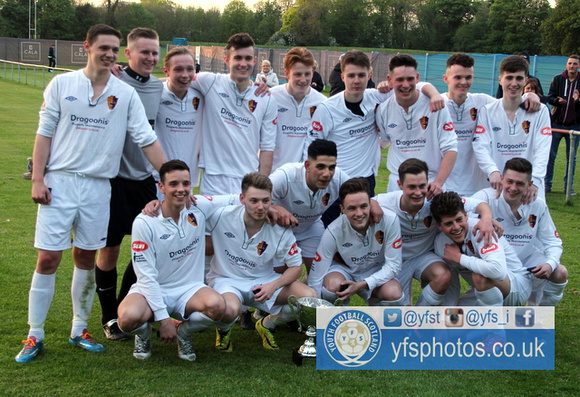 It was a truly awesome goal that saw East Kilbride make it 5-1 and clinch the game. After an excellent passing move between three Kilby players, Mitchell played in Howie who finished with aplomb dummying a shot before waltzing into the goal. Edinburgh Uni pulled a goal back with 20 minutes remaining and it was a grand reward for their persistence. A fine finish into the net nestled into the far post. Five minutes later, East Kilbride head a ball on to the bar after great play and then some frustrations from both sides came out in the form of fouls and yellows before Kilbride go close again. John Diack went clear onto a through ball and was foiled by the keeper but only a few seconds after he was still alive to a bouncing ball and he volleyed it sweetly and it was always going in. It was one of those shots that you hope will go in because it is going to be a great goal to watch and as much as the keeper did well he could only grace the dipping curl which took the ball under the bar for the game to be formerly victorious for Kilbride and fulfilling to Diack who no doubt will remember that goal for a while! The game finished at 6-2 and with a flurry of outstanding saves at the end as McCabe tipping balls onto the bar East Kilbride celebrated a trophy win on what turned into a glorious evening and an equally quality game. Dunbar travelled to Forrester High School, playing on the 3G there for the second time in a month. This time, Salvesen CFC were the hosts while the strong wind remained from the last visit to this venue. Dunbar took some time to get the ball on the ground and play to the conditions. The biggest surprise was that it took 18 minutes to open the scoring. Until then, it was a mix of great goalkeeping and poor finishing that kept the scores at 0-0. Cooper was first to test the keeper, breaking into the area after five minutes played but his shot was struck straight at the keeper. The keeper was forced to work harder minutes later when Twist and Pickles forged an opening down the right and the cross in found McLean who saw his effort parried wide. Pickles also saw a header saved by the keeper. The next opportunity stemmed from a clearance from Hood at the back whose long ball saw Dixon through – his effort was blasted over the top as the striker looked too eager at adding to his goals tally for the season. McLean, Dixon and Pickles all saw further efforts lacking a bit of composure as the enthusiastic Dunbar team tried in vain to break down the stubborn Salvesen defence. Dunbar did break the deadlock, and it stemmed from patient play from the full-back position. Twist won the ball at right back, cut into the middle, played it up to McLean who excels at finding his strike partner – sure enough, he played Dixon through and he did the rest, slotting home the opener. This opened the floodgates for the visitors. The composure in the Dunbar attacks stemmed from Beddell-Jones, who was winning everything at left back, and Sutherland and Knox in the middle who were finally getting to grips with the conditions and aware of how much room they had. The second goal came seconds after the first. Knox won the ball in the middle of the pitch, he strolled forward and played a great through-ball. Dixon was strong and held off his marker to fire his and Dunbar’s second of the game. Dunbar were well on top and Purves, Hood and Brunton had minimal involvement. Dunbar were now camped in the opposition half and the third arrived with the same combination as the second. Knox to Dixon, and into the roof of the net to complete a quick-fire hat-trick. Number four soon arrived and it was worth hanging around for. Sutherland picked the ball up from Twist close to the half way line. He pushed forward, and with a retreating defence and a wind behind him, he took aim and fired a 25-yard top-corner screamer that brought a smile to his face and that of the visiting support. Dunbar sent on Marshall for McLean in attack. He was keen to get involved in the action and had one opportunity within seconds of arriving on the pitch. His nerves got the better of him and he shot straight at the keeper. He had calmed down by the time his second chance arrived – Beddell-Jones summing up his excellent half with a ball to Dixon who fed Marshall who took one touch then smashed high into the net for his first of the season. Dunbar turned four goals to the good and opted to play a 3-5-2 formation for the second half. This would be their undoing for a while, with the Dunbar midfield pushing high up the pitch and the home keeper kicking long to an exposed back three. Dunbar did start the half well, and Foggo came into the midfield. A free-kick from out on the right was delivered by Foggo with the clearance picked up by Marshall who shot wide. Foggo was then adjudged offside with Dixon played through and the striker was frustrated to see his effort chalked off. Dunbar were sloppier in the second half although much of the better play stemmed from good link-up play on the right between Knox, Pickles and Twist. Dunbar made it 6-0 when Twist played an infield pass to Sutherland. His vision picked out Dixon who slammed his fifthth goal of the game and the magic 50 for the season – a truly incredible effort from the skilful marksman. Foggo was next to go close. He drifted in to the left wing and Cooper played him in as he cut back on the left corner of the box. His curling effort skimmed the top of the bar. Dunbar went through a poor 10-minute spell which let the hosts into the game. The keeper could clearly kick long and Brunton and Pickles were letting the ball bounce in their half. Hood came on to cover an injury from Brunton and he too fell foul of the long ball. The keeper cleared long. Hood did well to slide in and block the first shot at goal but with the Dunbar midfield camped upfield, the Salvesen midfielder was lucky to gather the block, although there was no luck involved in the finish as he smashed past Purves in the visiting goal. This should have served as warning to Dunbar but the plucky home side scored their second minutes later. A long ball was again involved, and from a similar break of the ball from the tackle, the Salvesen striker collected and dispatched in similar manner from the edge of the box to make it 6-2 to the visitors. This did fire up Dunbar for the remainder of the game and they played out the remainder in control. They scored their seventh when Pickles and Twist played a one-two down the right – Twist slotted in Knox and the big midfielder fired a ferocious effort which the keeper did well to parry. However, Dixon always seems to be in the right place at the right time and from the keeper’s parry he nodded home for his fifth of the game and turned the coaches frowns upside down. The striker completed his double hat-trick in the last minute of the game when Twist again set him up and he calmly fired past the despondent home keeper. The final game of the season sees a battle for third place with Penicuik hosting Dunbar. Penicuik sit two points below the East Lothian side in the table and so a win for either team would see them clinch the third place spot. Dunbar travelled to Forrester’s Park, Tranent on Tuesday night knowing that their hosts needed only a point to win the league but had only lost 1 out of their 22 league games this season. The Belters also had the luxury of bolstering their cup final winning squad with three former Division 1 players who were ineligible for the Cup final. Despite this mammoth task Dunbar started the game very brightly. They retained possession well and kept the ball on the ground with a strong wind blowing across the pitch. Knox and Sutherland looked sharp and eager to take the game to their opponents. Dunbar were linking well with Cooper and Foggo on the flanks benefitting from great passing from the middle of the park while Mclean and Dixon look to be forging a strong understanding in attack. Dunbar looked solid in defence and forced the much sought after Makovora deep to seek out the ball. Makovora is attracting the attention of several Pro-Youth teams and credit to the Dunbar defence for restricting the pacy striker to just one goal over the two games played over the last week, although his class was evident for all to see. Dunbar played out the first 10 minutes in control and created the first opportunity, a Knox shot from range heading wide. Tranent did start to gain possession of their own, and forced the first corner of the game which Purves came and collected. He was called into action a minute later when he was sharp off his line to block a Tranent effort. Despite controlling the opening quarter, Dunbar conceded the opening goal. With Dunbar on the attack, a quick counter saw a long ball played up to halfway – a ball through found the Tranent striker who continue through and scored into the corner of the net. There were calls for offside, with the travelling support voicing their displeasure. Their frustration was short-lived when Sutherland showed his class, winning the ball in midfield then feeding Mclean. Mclean turned and threaded his pass through the eye of a needle, with his strike partner Dixon on to it in a flash and slotting home in style. Dunbar then committed the cardinal sin of conceding with a minute of equalising. A Tranent ball was played into the box and Purves in goal came but was beaten by a flick past him and he pulled the striker down. The visiting keeper earned a yellow card for his challenge, and dived to his right as the centre half coolly smashed the penalty straight down the middle. With five minutes to go to half time Purves was called into the action more and more and he produced a class save as he came off his line to meet the striker. He could do nothing to prevent Tranent’s 3rd though – a corner was cleared to the edge of the box where the super-cool Tranent number six took one touch to control and his second was fired straight into the corner of the net. With seconds to go to half time, it was the danger man Makovora who finally got his name on the scoring sheets. He out-paced the Dunbar defence and coolly lobbed the visiting keeper. Dunbar headed into the break four goals to one down, when they had been on top for long periods of the half. Dunbar kicked off the second half in similar manner to the first – they were quicker out the blocks and playing well. Cooper was now causing problems galore and he played the ball to Dixon who evaded the defender with a superb touch – his ball in was cleared to Sutherland who smashed the ball wide of the target. Seconds later and Dixon was again the danger man as he was brought down on the edge of the box. Dixon made sure he was taking it and his strike wasn’t the cleanest but with the keeper going down early, the free-kick was curled over the wall, bouncing over the keeper and into the corner of the net. Tranent effectively killed the contest by scoring the next goal. The ball was swung over from the left, and the right winger nodded it back with the striker first on to it to make it 5-2. Sutherland showed how hard he was working as he was forced off the pitch after an elbow to his nose. He wiped himself down and returned to the midfield battleground. Tranent were finding gaps now with Dunbar players looking tired. Brunton, Hall and Pickles had been superb all game with Knox winning everything in the middle. Twist came on and performed in a manner expected for someone who is eager to play every second of every game while Beddell-Jones and Hood look like scrapping over a left full back slot with competition for places all over the pitch. Purves as well continued from his cup final heroics when he produced one world class save to block a Makovora point-blank effort then was straight back up to block the rebound, drawing applause from both sets of supporters. With tired legs showing in the home defence, Tranent added a 6th. Pickles slipped as he was about to clear, with the left winger picking it up and softly placing it under the keeper’s body, and it eventually inched over the line. A well-deserved league title for the home side but a gutsy, and more importantly, return to the passing and good football that the Dunbar fans have become accustomed to. Four points from their two games left will see Dunbar Utd Colts clinch third place in a remarkable season turnaround, starting with a trip to Forrester’s High school, Edinburgh and a game against bottom of the table Salvesen CFC. Craigroyston BC 2003 took part in the ESF Festival of Football over the weekend. Playing in a total of four games against teams from up and down the country, Craigie started well chalking up a 3-1 in their first game against Blantyre. In the second match against Dundee West, Craigie flew out the traps coming in 3-0 at half time, with a Dundee player injured in the first half and no substitutes Craigroyston offered to take a player off and play six against six to allow the Dundee player a rest, a great show of sporting friendship. But it was Dundee who commanded the second half and took the game 4-3, however the two teams have already been in touch to play a two games friendship match at each ground. Craigie once again dominated their third game on Saturday when they played Port Glasgow winning 3-0 although some great saves from both keepers ultimately ensured this result. In the final game of the day Peterhead and Craigie held each other to a 2-2 draw and bringing a close to the first day of football. The final morning of football was pouring down with rain, and in the first match Craigie started slow, allowing Duloch to take advantage. At half time Craigie were down 3-0 and needed to picked up. They performed much better in the second half against a team who had dominated the tournament but the game finished 5-1 to Duloch who were a very good team indeed. In the final tournament match Craigie took on Rowallan and the match and once again Craigie performed the way they can and took the game 3-1. The boys ended the tournament winning three, drawing one and losing two. These weekends are not all about the winning and the tournament was successful in team bonding, fair play and much more...even the team anthem will be something we will always remember. The clubs team picture for the weekend can be viewed on Facebook and any likes would be greatly appreciated (to help the club win a new set of kits). Dunbar returned to league action looking to brush off the disappointment from their cup final defeat on Monday past to table-topping Tranent Colts, while also looking to secure a league double over their hosts Leith Athletic. Leith Links was the venue, and the heavens opened just as the players arrived pitchside for their warm-up. The pitch was actually in good condition and the rain eased in time for kick-off. Dunbar have won many games this season playing some great passing football but this one goes down as a hard-fought victory with the visitors struggling to find their team-mates with the ball, as well as finding difficulty in coping with the long-ball, direct style of play from their hosts. There was no indication of any cup final hangover when Dunbar scored with little over two minutes on the clock. Pickles was the provider as he was first to react to the goalkeeper’s short goal kick. He gathered the ball with great control, drew the defender before playing in Dixon who took one touch to control and a second to guide the ball past the home keeper for his 43rd goal of the season. Leith were next on the attack, and a long ball sucked Hall from the home defence – the gap was exploited as Leith sent their striker through and his low shot would have beaten many a keeper but not one of Purves’ ability and he dived to his right to prevent the equaliser. Indeed, Dunbar scored again to go 2-0 up when Pickles again used his pace and strength to run on to the ball and slot the ball past the Leith number 1 and celebrate his 18th of the campaign. Dunbar then stopped playing for a while and let their hosts into the game. Some poor tackling in the Dunbar defence let the Leith striker through and this time he made no mistake to make it 2-1. Leith were punting long, with the striker dropping, knocking to the midfield where a through-ball seemed to evade Brunton, Foggo, Hall and Hood time and time again. However, Brunton and Hall were unlucky for the Leith second goal. They held a high line, and the Leith striker knocked the ball past a frustrated Purves in the Dunbar sticks. This decision shook the Dunbar team and Sutherland, Knox and Twist lost their way for a period of time in the Dunbar midfield. Cooper, as always, was the main outlet ball and the majority of good play stemmed from the tricky winger out on the left. The next chance fell to Dixon for Dunbar when Cooper played the ball infield to Knox – his pass to Pickles was knocked in to Dixon whose shot was expertly saved. Dunbar were then victim to a second debatable offside decision. On this occasion a Knox through ball was slammed into the net by Pickles with his celebration halted with an offside that no-one other than the man in the middle could see. Dunbar rang the changes with Daff and Gallagher coming in to the midfield. Mclean was given a run at right back with Beddell-Jones playing in an unfamiliar left back role. The changes did nothing to stem the goals as Leith came out of the traps flying - a through ball again exposing the visitors as the Leith right winger arrived on to the ball before audaciously lobbing over the keeper, and turning the game around to lead for the first time. An injury to Daff and Gallagher meant a quick return to the action for Twist and Foggo who clearly were keen on making a difference at the second bite of the cherry. Foggo was brought into the midfield and for the first time in the game Dunbar looked like stringing some passes together. The best passing move of the game saw Knox score. Mclean was moved in to attack and he showed great strength to win the ball from the home left back – he knocked it back to Pickles who played an inch-perfect pass to Knox who strolled into the box and slammed into the corner of the net for his 11th goal of an increasingly impressive season..
Dunbar looked the stronger team at this stage and there were a few light appeals for a penalty when twice Dixon looked like he was manhandled in the box. Know was yellow carded after he showed his frustration and fouled the keeper as he looked to kick long. Mclean was relishing his striker duties now and should have done better when Dixon fed him – his shot flashing over the bar. The Dunbar defence was looking stronger now with Pickles at right back and Beddell-Jones at left-back calmly winning the ball back and playing in the Dunbar midfield. It was a surprise that Leith took the lead again when a short corner routine found the Dunbar defence napping. The Leith winger played it short, a lay-off back saw the winger on the corner of the box and with no Dunbar player coming to meet his opponent, the winger fired a worldy into the far top corner of the net. It was a great strike but the player was under no pressure and the visiting coaches showed their frustration. The Dunbar team have been in this situation before and again showed great battling qualities and refused to panic. Dixon was linking well with Mclean now, and he provided the opportunity for Dunbar to equalise. His skill on the right side saw him evade two players, and his inch-perfect pass to Mclean saw the striker through on goal – he fired over the keeper to level the scores again at 4-4. Dunbar had all the momentum now and Hood was reintroduced at the expense of an exhausted Cooper who had yet again put in a huge effort on a big pitch. The visitors looked the likelier winners at this stage and were searching for the headline grabber. Step forward Foggo who scored with the type of goal which was regular place in the early part of the season. Dixon was again the provider – he held off his man before feeding Foggo on the right – his cross come shot from wide out on the right evaded everyone, soaring over the keeper and into the far top corner of the net – this was a Foggo trademark that has been left in his locker for too long. At 5-4 Dunbar looked to see out the game, and could have stretched their lead. Dixon rounded the keeper and rolled the ball towards the empty net. The impressive number six from Leith gathered up the yards and cleared the goal-bound effort before it crossed the line. This was a hard-fought but uninspiring win for the dogged Dunbar team who have a chance to make amends for their cup final defeat when they visit Tranent on Tuesday night. The Belters need only one point to secure the league, and complete the second part of their treble in an impressive first year at eleven-a-side football while Dunbar look to continue their impressive turnaround which has seen them rise from second bottom and challenging for third place. Admission Adults is £3:50 or concessions £1:50; a full programme covering both days is priced at only £1; and a snack bar is open throughout both days. Dunbar travelled from East Lothian on a fresh spring morning, bound for the affluent Edinburgh district of Barnton for the return league fixture against Cramond. Dunbar had knocked Cramond out of the League cup earlier in the season but this was countered by a smash and grab raid the following week as Cramond tore down the A1 to steal the three points from their generous hosts. The match was played on the 3G pitch at Royal High school with good conditions for passing football. Dunbar could not have started better and scored their fastest goal of the season. The crowd were still muttering their displeasure at being forced from the pitch side to a position behind the barriers when the referee blew twice within 15s. The first whistle was to signal the match starting, while the second was to acknowledge the first goal being scored. Cramond kicked off, passed back to their centre half, and with striker Dixon approaching at speed, the centre half knocked a nervy pass to the keeper which always looked risky. The keeper came and tried to clear but could only boot it straight in to the onrushing Dixon who charged down and watched the ball go past the keeper and into the empty net. Dunbar had not played a league game since the 29th of March and they looked hungry for it. They were keen on burying their opponents early and Cramond did well to stem the flow. Pickles and Cooper were the chief tormentors as they pushed wide of Dixon in a three-pronged attack. Pickles was full of his usual running and he skipped by his man to set up Knox who collected but then cleared the bar with his shot. The game was only five minutes old when someone’s gone and tripped Cooper and he’s fallen just inside the box. (That’s a penalty). The ref, he looks to his linesman and he’s pointing straight at the spot. Hall has a conversion rate of three out of three spot-kicks this season and up he stepped. He was looking for pin-point accuracy but on this occasion the ball struck the post, with the keeper well beaten. The ball was cleared for a corner – the first of many where Dunbar looked very dangerous. For the next five minutes of the game, Cramond edged their way back in. Dunbar’s midfield was struggling to control the middle of the pitch but thankfully Foggo at the back was tackling like his life depended on it. He has only played right back a few times but already looks at ease there – strong in the tackle and distributing well. Indeed Dunbar’s second goal came from Foggo winning the challenge – a one-two with Brunton as Dunbar coolly played it out from the back, and he then sent Pickles on his way again – the lively birthday boy needed no second invite and he collected the ball, skipped past his marker before teeing up Dixon with an inch-perfect cross. Dixon made the next part look easy as he slotted home to make it 2-0. Dunbar soon made it three and it was no surprise that it came from a corner. Foggo and Hall took it in turns to send in inviting dead-balls and Knox, Hood and Pickles looked as keen as mustard to get on the end of them. On this occasion, a Foggo corner found Pickles with extra spring in his new boots as he superbly rose high and nodded into the net – a superb goal from the 13 year old. Dunbar looked well in control at this stage and really could have scored more. Hood and Cooper were linking well down the left while Foggo and Pickles were a threat down the right. Slowly, Sutherland, Knox and Twist established control in the middle of the park over a committed and skilful Cramond midfield. Indeed, Purves was the only player left with little to do and as such it was a surprise to see the hosts pull a goal back before the break. The Cramond number four played a superb ball through and Hall looked like stepping in with a trademark slide tackle. He hesitated as he thought the ball was past him – the striker skipped past and planted a shot past Purves into the bottom corner. Gallagher and Beddell-Jones were introduced in the second half to stretch the game and exploit the home side’s tired looking defence. Dunbar started the second half in a similar manner to the first. Cooper latched onto a stray goal kick, and his lob looked goal bound but fell on the wrong side of the post. The same player was unlucky minutes later when a superb ball through from Knox found the lively winger, who is in a rich vein of form, but again, his effort drifted wide. The fourth goal did come and Twist was the creator this time – a perfectly placed through ball finding Dixon – he rounded the goalkeeper calmly before slotting home for his hat-trick. This was his seventh hat-trick of a successful first season in 11-a-side football and incredibly, his 42nd goal of the season. He has 5 games left to hit the magic 50. Dunbar can have a habit of failing to kill teams off and sure enough, Cramond made it 4-2 straight from the kick-off. A hopeful ball through was misjudged by the normally Mr Dependable Brunton, and the striker collected and gave Purves no chance with the shot. Dunbar battled on and Cooper must be wondering how he never managed to make it onto the score sheet. A move started from the back finally saw Cooper break and his effort this time was unlucky in bouncing back off the post. Seconds later and Knox stepped up to show Cooper how it’s done. He collected the ball from outside the box and smashed the ball high into the net for his second long-ranger of the week. Pickles was still looking a threat and he made it 6-2 soon after when a good passing move saw him one on one with the keeper and he expertly stroked the ball home with his left foot. He would leave the field soon after, as he fell victim to the dreaded new boot foot. Cramond did continue to make a fight of it and when a loose ball was not cleared on the edge of the box, the Cramond midfielder struck a powerful shot which Purves did well to put a hand to, but the ball crept over the line. Dunbar still had opportunities for more. Dixon looked like scoring his fourth but the ball bounced off his standing foot and left his striking foot swiping fresh air. Cooper also saw Beddell-Jones in the clear but his pass took an age to come down from height, and the defender closed down the danger with an empty net waiting. Beddell-Jones did try and improvise with a clever back-heel but the keeper recovered in time. An attempt will be made in Edinburgh in July to create a new world record for a continuous game of football. 100 hours non-stop play is the target for 37 former pupils of The Mary Erskine School and Stewart's Melvillle College at the four-day event at the palatial stadium at Spartans Community Football Academy. The bid to create a new record will be overseen by representatives from The Guinness Book of Records and this event is being held to mark the 10th anniversary of the death of Craig Gowans in an incident at the trading grounds. The tragic death of this brilliant 17-year-old boy happened while he was at Little Kerse, the training ground of Falkirk FC on July 8, 2005. 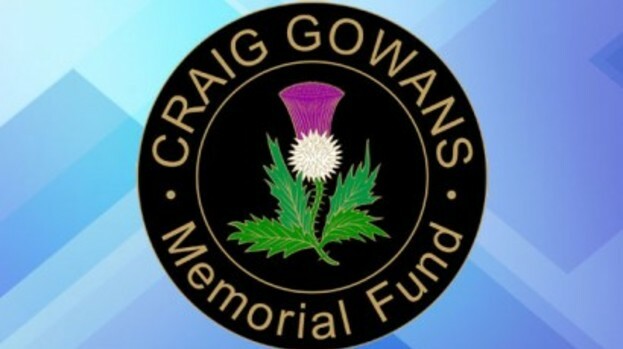 Since then, the dearly loved son of Sheila and John Gowans has been constantly remembered by his parents, brothers Darren and Dean, and his lovely sister, Lyndsay, with the creation of The Craig Gowans Memorial Fund. Over the 10 years since Craig's death, the family and army of friends have helped raise incredible sums of money for charities. Among these The Sick Kids Hospital Friends Foundation. And this year all cash raised is earmarked again for the Sick Kids FF particularly so as a new very modern hospital is currently being built at Little France in the East of Edinburgh. So, the stage is set for the creation of a new world record and Craig's two brothers and sister are among those taking part. Last Sunday, Iury Machado of Redhall Star U12s scored a hat-trick against AC Oxgangs. This treble brought up a fantastic milestone - taking his total to 50 for the season. Iury's story is an intriguing one. The young player was born in Criciuma (Santa Catarina), Brazil, where he started playing football at the age of 7. He played for the local professional clubs youth team Criciuma FC. Machado moved to Scotland with his family and began to play football for his school, Dalry primary. He then joined Redhall Star's 2003 squad in the summer of 2014. Since then he has been breaking down defences with his light footwork and natural use of the soles of his feet directing him through the tightest of spaces. From the beginning of the season, Iury has been no stranger to a hat-trick and even scoring as many as 5 in one game. As well as scoring 50 goals to date, Iury has at least 25-30 assists. And to quote a fellow Redhall coach (Jimmy McCusker) "I have never seen a young player who enjoys setting up goals as much as he enjoys scoring them." One of the first to turn up to every training session, Iury is a grafter. He is leading the pack for his squad's golden boot, with fellow attacker Arin Tunjay close behind on 45 goals. As the saying goes, "strikers hunt in pairs." On Sunday 19th of April, Airdrie United U16's wore their new strips as they saw off Broxburn Athletic in the semi-final of the County Cup. Despite the new gear, it was the same old outcome for the side as they saw off their oppoenents 3-2 after extra-time. Emblazoned with the clubs slogan 'Mon the Diamonds', they now face Boness in the final. The coaches said they are proud of their squad who have so far had an unbeaten run in league and in their cup games within the West Lothian Association YFC. As well, a few weeks ago, they played a friendly against visiting Dutch side VV Peize under 17's which they won 6-0. Played at Airdrie's home pitch, Caldervale school. Airdrie United said they are keeping in touch and trying to arrange an away tie to Holland in the near future. 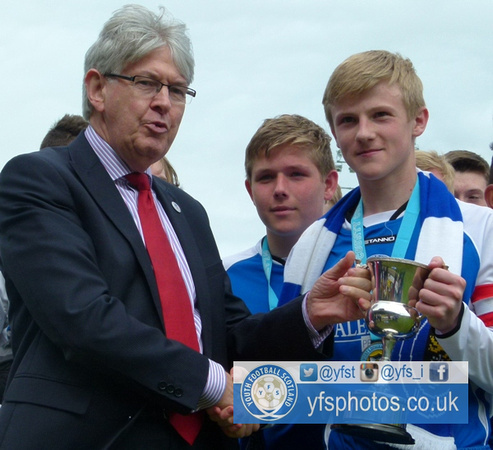 AC Oxgangs Blues U19s nearly didn’t compete in this season’s football fixtures. Coach Malcolm Henderson admitting he had “had enough” after a disappointing season last year had seen them pick up just one victory. Injuries, suspensions and other commitments making it a very difficult season for the ACO Blues. Andrew Lilley, who picked up a man of the match performance in what was a disappointing defeat at the hands of Edinburgh city in the D2 league cup on Saturday, had other ideas however. He decided along with some friends that enough was indeed not enough. The group banded together in mid-September to persuade Malcolm to give the Blues another season. They then arranged a trial match with a very high number of attendees and combined their efforts with the new boys in creating a team to play football. In what Andrew himself admits is “only a bit of a kick about” the boys have had a very encouraging season indeed. Training just once a week and playing simply for the love of the game they want to enjoy themselves and play a sport they are passionate about. Despite their modest and humble grounding the boys made an encouraging start. When a loss comes a long they simply move on to the next game and look forward to playing with their friends. These boys, and this is a view very much endorsed by a supportive coaching structure, have no desire to “be the best” or “win at all costs” something which is arguably hugely visible in the upper echelons of football. They have what can only be described as the true grass roots ethos of football, where profit and winning isn't everything, but where like-minded people can enjoy a sport and through it arguably simply strengthen friendships. I’d like to thank Malcolm and Andrew for sharing their story with me and I hope that people find it as inspiring as I have.